We have already begun discussions with the Witnesses about developing common standards, not just for testing code, but for holding Steem developers, such as us, accountable to their needs, and the needs of the community members they represent. We believe the system that will emerge from this will be far more mature, effective, and powerful than the methods in place prior to Hardfork 20. 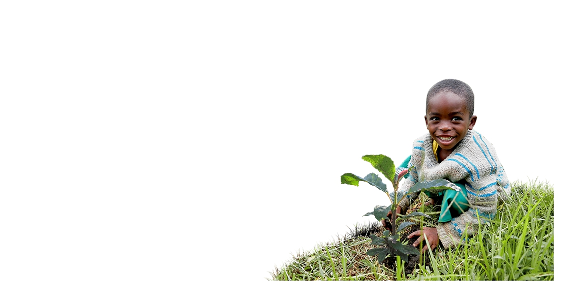 We are excited about the potential for positive change that will emerge from the challenges we have faced, and will continue to face, as a community. In today’s post we would like to explore this issue further and share our thoughts on how Steem’s governance can function best. There are three major groups within the Steem ecosystem: Steem holders, Witnesses, and blockchain developers. The Witnesses are the gatekeepers of the code. It is ultimately their decision whether code that is created by developers should be adopted and implemented in Steem. This is the role Witnesses are elected to serve by the Steem holders, which consists of the users of Steem DApps and the businesses that build those DApps. 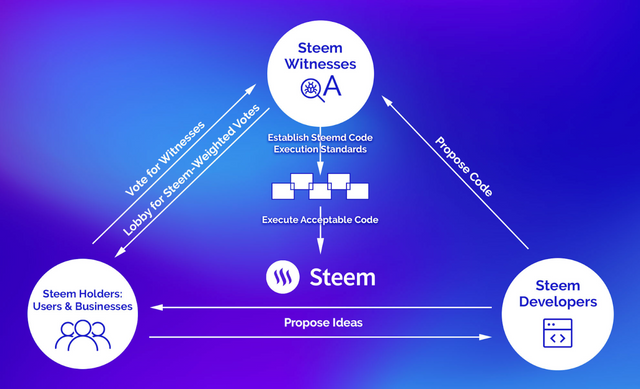 In order for Steem blockchain developers (like Steemit) to produce code as effectively as possible, and Steem holders to be as informed as possible, we believe that it would be a substantial benefit to the ecosystem for each Witness to publish the standards that each will hold for proposed Steem code, as well as standards they will apply to the development process used to create that new code. These would be the standards they are committed to enforcing before they would consider adopting and running code in a new version of Steem. We also believe these should include additional standards for each Witnesses’ own procedure which would ensure that their requirements for new code are met. We would expect that the standards governing the Witness’ own process for verifying code, and verifying that code process standards are met, would include information and documentation about each Witnesses’ code testing apparatus, or that employed by whomever performs their code review. We expect further that Witnesses who leverage their own apparatus for code review would be much more valuable to Steem than Witnesses who do not. We believe that HF20 has clearly demonstrated that testing attitudes need to be more conservative, inclusive, and rigorous, and that this proposal for Standards is much more in line with conservative development. Some Witnesses have already taken it upon themselves to propose such standards. @reggaemuffin, for example, published the standards he would apply when determining whether to adopt a hardfork, as well as the actions he pledges to perform himself. @reggaemuffin also shared additional standards that would be followed in the event they were made a top 20 witness. @bobinson has also published a thoughtful post outlining how he plans to proceed. There have been several other Standards published as well. Some are more low level and some are more high level. Steemit, Inc. is currently going through our own HF20 post-mortem, which we have no doubt will reveal unacceptable flaws in our process, and result in us developing and publishing our own standards for the Witnesses and Steem holders to review. We believe that governance on Steem is close to functioning very well, and the conversation that will now ensue is how to make it much better and empower more Steem holders than ever. Through this process of publishing standards, Steem users and businesses will be able to hold those Witnesses accountable to their published Standards, and must hold them accountable. With Steem comes the responsibility to elect responsible gatekeepers of Steem code and voice your ideas for improving the ecosystem. It is your votes, after all, that determine who occupies these important gatekeeper positions. And it is the people who occupy those positions who will be responsible for communicating to us what code they will approve, and what standards that code has to meet. With such standards in place, it will become abundantly clear to everyone which Witnesses successfully, or unsuccessfully, work within established standards. We are holding ourselves accountable for how HF20 transpired, and know the community wants to hold itself accountable as well. This is about coming together as a community to establish a clear path forward so that all the critical groups within this ecosystem can focus on their responsibilities, communicate their requirements efficiently to one another, and accelerate consensus. We believe that this system has the potential to truly empower each one of these Steem constituents. It empowers the Witnesses by encouraging, even demanding, that they develop standards with respect to which the developers must comply. This, in turn, empowers the developers by giving them clear guidelines that they can follow knowing that, if they meet those standards, their code will eventually be adopted. And it empowers Steem holders who, through Witness voting, determine what standards are developed for the purpose of gatekeeping new code. Steem empowers all of us, but with power comes responsibility, and we believe that the most important responsibility right now is the pressing need for all Witnesses to actively develop and communicate reasonable code acceptance standards that will enable us to hold one another accountable. I expect some Witness Standards to evolve through community discourse on this topic. I encourage everyone to be open minded to new concepts of Standards and steadfast in convictions toward finding a Goldilocks inflection point so that all of Steem benefits optimally from future upgrades to the chain. Because we don't know if @pumpkin / @freedom is owned by Steemit, there was considerable pressure for witnesses to go along with Steemit Inc and this hardfork. This has been the case for many HF now. The majority of the top witness would drop out of top 20 if they were to lose @pumpkin's vote. @pumpkin's influence goes beyond the top 20 witnesses. @blocktrades also has a substantial influence on the witness ranking. He only votes for 5 witnesses at the moment. @blocktrades' proximity to Steemit Inc also creates pressure for top witnesses to get in line with Steemit Inc. These pressures, although not ultimate factors, have created with this HF and in the past, situations where there are high risks to go against Steemit Inc's HF (and potentially lose @pumpkin or @blocktrades' vote) with very low possibility of reward, (delaying, stopping an hardfork while proving it was justified). This is one aspect of Steem which would benefit from more public exposure. This is quite clear FUD and an example better positioned in an argument against DPoS on a theoretical basis. Because the facts are clear: Freedom is not owned by Steemit Inc nor it’s employees. It’s someone or some people in the ecosystem. This person has a right to vote with their stake. Blocktrades is the same. Beyond that, Top 20 Witnesses were expressly requested to Not Upgrade by Steemit Inc if the code did not meet their standards. If the witness’ Standards aren’t high enough — that is on the Stakeholders, such as You, of the ecosystem to demand change in. Freedom is not owned by Steemit Inc nor it’s employees. These are unsubstantiated facts. If you have proofs of who @freedom is, then feel free to reveal them publicly. As of now, it remains unknown who @freedom is and thus my points remain valid. A lack of evidence disproving your claim doesnt make it evidence that your claim is accurate. I could hardly believe he tried to use that one and essentially try to tell me I am lying. I know what he's trying to get at -- something about DPoS really -- or making demands on others in a system he opted into -- but I don't think he has articulated it to himself yet. You could be lying. This isn't out of the realm of what is possible. Acting as we know something we actually ignore is foolish. Is there a mouse in your pocket? It’s as unsubstantiated as you not owning @freedom and you not being Satoshi. You can’t disprove a fact that doesn’t exist. Your point is invalid in relation to DPoS. And it’s alarmingly lame by in a backwards way accusing me of lying. Come up with something worth doing something over or solutions to real problems, or come up with new governance structures. Stakeholders vote for Witnesses. End of story here in DPoS. The fact is that we don't know who @freedom is. You've made unsubstantiated claims and I've pointed them out for what they are. Your conclusions in your OP are to ask the community focus on something that can’t be proven to any of our benefit and is based on FUD. Thanks for nothing there. I've written my comments to speak my mind on an important aspect of Steem. Who votes on the steemit Inc CEO? Publishing standards is a terrific start. Thank you. I would like to see those standards published in a place that is not a blog entry where it can be forgotten days or weeks later. It is wonderful that Steemit Inc believes that witnesses should publish their verification of code, however pushing that responsibility to the witnesses may not be the answer. I don't feel that many users realize or understand if the verification is actually done properly. Steemit Inc really needs to have check boxes of their own and audits to verify if witnesses have done an acceptable job in verifying/testing code. To put is simply, you wouldn't put a fireman, bus driver, mechanic, grade school teacher, nurse, salesperson, construction worker, etc. in charge of and to verify a person is actually testing software properly. Then why are you asking us as voters for witnesses to do the same? Another way to put it is when you have users select the witnesses by how well they tested the code is like employing accountants to inspect building construction ensure that they meet acceptable quality building standards. They are not going to know if the job was done correctly or not. if you want someone to do the inspection, you get the qualified people in place. Don't give the job to people that have no idea how to do it. The reality is that users will vote witnesses by how well they present themselves as if they did something regardless if they actually did the work. If they can make their presentation believable, then that is all that is needed to get votes. It would be like the accountant inspecting a building and beautiful sheet rock and paint covering up serious structural, plumbing, and electrical issues. The accountant would look at it and think a great job was done, but a year later the roof falls in, there is an electrical fire, or flooding happens. Get the right people to verify that the witnesses have done the job properly. It would be nice if Steemit Inc. first put forth a statement on what they believe Steem is. Is Steem's future as a social media blockchain, a business-support blockchain, a tokenization-platform blockchain, some hybrid of the three? Development standards ought to be different for those different options of which direction we're headed in, and one thing HF20 has made very clear is that we don't have a clear, public notion of what that direction is. I feel like having that discussion first would be a good idea. I tend to deduce from the lack of enthusiasm for building a quality user experience that Steemit Inc. doesn't particularly value the direct social media component at this time, despite it being used as the proof-of-concept. 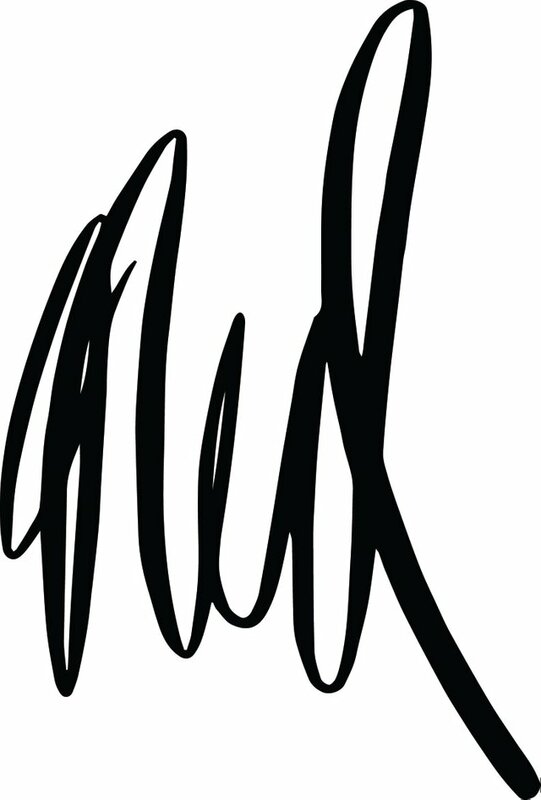 But I could easily be wrong about that, and it would be nice to have it spelled out directly. "from the lack of enthusiasm for building a quality user experience that Steemit Inc. doesn't particularly value the direct social media component at this time, despite it being used as the proof-of-concept"
I have said MUCH the same, MANY times, and it's disheartening to witness that there are many designs, NONE of which are really clear, as if we are evaluating many women, and only 1 can be the wife. Due to lack of communication about the CURRENT ROAD MAP, I think it's obvious we are all not clear, even just before SteemFest3? Please correct me if I am wrong?! Roadmap is a form of SMTs, Scaling, SMT Oracles, Voting Economics. We have been producing means to put this forward formally. That is a long time to wait for an intentionally broken feature to be fixed. What about those of us not interested in floating our own currencies? We just want to earn this one based on our ability to draw a willing crowd. Intentionally hobbling us on the off chance that a steem proxy knocks it out of the park is favoring potential future creativity over current creativity. IF, in the future, an smt does well does it justify oppressing current creators of content with proof of wallet? You've stated fixing rewards is on the agenda. I get rewards having a lower priority than scaling, but as one that is perpetually blocked by gate keepers, I would like to first see 'good' content rewarded. Releasing sbd to be traded on the open market hobbles both steem and sbd, was this intentional?, and if so, care to explain the reasoning? Could yield all content rewards to curation. Perhaps this is the content discovery machine you want. There are levers to pull and yet never any silver bullets. If sbd could only be accessed through steem, held/traded internally, then it creates a reason to buy steem, to get to the stable coin, or back to another coin. Letting sbd float negates a reason to buy volatile steem. Why buy steem when you can get a stable steem, sbd, instead? To be king of the social scene here? Misfits, outcasts, pirates, and the underprivileged rarely celebrate kings. We get enough proof of wallet at work. Could yield all content rewards to curation. I came onboard after curation went to 25% from 50%, so I dont know first hand how that would look, but I do know how much i liked my vote doubling during the whale experiment, and again with the hardfork. If <50 people have to be restricted, by others voting their stake, a 'valid' community response, to make steem attractive to what will become the middle class, I wouldn't kill adoption by forcing proof of wallet on 60k users, without a good reason, and I was wondering what the reasoning was. Proof of wallet is an age old feature of the current paradigm, it's time to shift that feature to something more favorable to the masses, proof of brain. The n2 could do that, if not abused by the distribution. The best interests of the masses lies not in the rich getting richer, but in monkeywrenching the machines that keep them poor. Quickest short circuit of this bankster dystopia you'll ever be exposed to, and available on any given Tuesday. While i got you, 15m sbd isnt near enough to compete with the trillions of any other currency, how about the chain sells sbd for 1usd of steem? The steem derived could be burned, used for development, returned to the pool to augment/replace normal inflation, or whatever proportions witnesses decide. A simple bot account could handle the exchange using an average of X day's prices to lessen abusive manipulation. Using an account opens monitoring to everybody, not just folks that can pull data. Those are all great things but I think there's some basic community based stuff that's seriously lacking on steemit. Why do I have to install an extension to get a notification that someone replied to one of my posts? I'd like to be able to have friends and a way to filter spambots from "friends" sending memos. Steemit was a 'minimally viable product'. I use steemworld.org/@username for most of my data. This statement is in lots of places. Steem is the blockchain engine to support the future of users, entrepreneurs and developers of internet applications primarily with public content persistence and interactive, specialized currencies. Steemit, Inc. focuses on the blockchain roadmap that enables these constituents. Shouldn't Steemit Inc be rebranded to reflect it's mission statement. Steemit Inc implies the main focus is on steemit.com. Also how are we supposed to elect witnesses that actually do code review when one person @freedom controls all but 3 of the top 20 witnesses. I've been calling for account based witness voting with vote decay. Great information. I've joined new steemit. I use esteem app instead of steemit.com. But interestingly, the esteem app has become more attractive. You know, those words in that sequence don't actually mean anything, right? You have quite adroitly sidestepped every question implied and expressed, and responded by saying "it's a blockchain that can support different currencies!" Well, yes. But that's not a vision. That's not a direction. That's the definition of a thing that already exists, and it's not the only one that exists. The important question you absolutely have not answered is, "why should we care?" Every blockchain expects to "support the future of users," because that's what applications and services do. Yes, it's an application or service. Congratulations, you worked it out. Every public distributed blockchain supports content persistence, because that is what a blockchain does, store persistently a transaction list. That's all it does. So yes, congratulations, you worked it out. "Interactive, specialized currencies." Like Ethereum. Which already has a widely expansive support for interactive, specialized currencies. Congratulations, you worked it out. "Steemit Inc. focuses on the blockchain roadmap that enables these constituents." You mean "our vision is to run a blockchain which chases Ethereum?" Because that is what you just said. I have read a lot of corporate-speak in my life. Vast amounts, in fact. More than any entity should – and the fact that you don't have a ready to go, boilerplate answer to "what's the direction the company wants to go in?" that avoids legalese and actually picks out a direction? That's terrifying. If your answer is, "I have no idea; we're just banging on this thing like monkeys and expecting other developers to figure out what to do with it," it would be a lot more honorable and a lot simpler to just say that. Just say it! We can handle the truth. I promise, we can handle the truth. Do I expect that to happen? No. Not even a little. But it's nice that I get to ask the questions and point out the failures in public in a way that can't be disappeared unless the whole blockchain goes toes up. Man, it would really be good for business to have a real answer to "what's the current vision?" Maybe someday someone will want to do that business. That was my first reaction, too, but I eventually teased a bit of meaning out of it. I've read and written enough mission statements to know that one's probably around the median, even with minimal substance to it. It definitely could use improvement, and Ned's version of a roadmap up there is much more in need of it. Hopefully they will see reason to. Every public distributed blockchain supports content persistence, because that is what a blockchain does, store persistently a transaction list. I do think this for Steem is focused on a specific type of human-engaging content, rather than quite the generic function of any chain. Since there are some big differences that benefit from specialization, this strikes me as a real thing. This much seems pretty spot-on, though. To be fair, ETH does this pretty badly, so it's hard to blame someone for seeing an opportunity to do better. Though we've already seen one Graphene-based attempt to surpass it with unencouraging results. Man, it would really be good for business to have a real answer to "what's the current vision?" That was my first reaction, too, but I eventually teased a bit of meaning out of it. If you have to tease meaning out of a thing, it doesn't have meaning. If you have to tease meaning out of what should be a clear, concise, and well-polished corporate statement of intent, it definitely doesn't have meaning. You might be engaged in projection, or you might be engaged in whshcasting, but it can't be in deriving meaning from words. We all need to be better about separating those things, especially in the face of that which people ostensibly care about and which affect their lives. None of these should be hard questions. They should have straightforward answers. You can think that, but that doesn't make it true. Steem transactions allow for a chunk of metadata which can be interpreted by client front ends aware of the structure of that metadata – but that's no different from any other blockchain in a very literal and specific way. The only thing that separates steem at this point is an implementation that makes use of that metadata for the rough implementation of a low-feature social media platform. But that could trivially change tomorrow and arguably has already changed pretty aggressively with both Whaleshares and Minds making use of crypto-commodity technology. I'm definitely not sure that it is fair to say that Ethereum does "this" pretty badly, when Ethereum supports a ridiculous number of E20 sub-tokens which are in active, actual exchange and has been for quite a while. What is it that Steemit Inc. wants to do that Ethereum isn't already? You'd think that would be an easy question to answer. Politicians typically speak in platitudes. Demand plain language communication from @ned or anyone else in these positions. This should not be politics as usual. This doesn't even read as politics. Politics attempts to make promises to one group at the implicit expense of another. What Ned has said here is essentially devoid of promise and without real direction. When politicians engage in this sort of presentation, they rightly get lambasted by both those who of traditionally supported them and those who oppose them. This is supposed to be business, not politics. In business, we communicate clearly with the market, offer them what they want, and have a plan for doing it tomorrow. Witnesses are elected? That means politics. Elected and selected – but Steemit Inc. aren't witnesses, at least openly. They have gone out of their way to avoid being seen running a witness node directly under their control, probably sensibly as a means to avoid the accusation of double dipping, both controlling the majority stake by a vast amount and taking a part of the inflationary value of the reward pool which is allocated in accordance with the stake in that reward pool. That's not to say that they are absolutely not behind one or more of the top 20 witnesses, but they are at least smart enough not to be so completely obviously. But you bring up a fine point. The witnesses are elected. We are not talking about witnesses – we're talking about the company that owns the majority stake in the steem blockchain, the company that has the most to lose should it remain unprofitable, the company which pushed hardfork 20 containing obvious and major design flaws, who continue to not have a clear statement of where they want to take the project or what they intend to do with it, and who specifically avoid being responsible by not running a witness. Steemit Inc. cannot be voted out. Steemit Inc. is not beholden to votes or to politics. They have mathematics on their side, as defined in the very white paper that describes the blockchain. If @ned is pretending to act like a politician, he's doing a absolutely crap job of it. Like I said, politics attempts to make promises to one group at the implicit expense of another. The function of witnesses is ostensibly to be responsible for making sure that computational and replication nodes for the steem blockchain database are up and running at all times. In theory, they should also be responsible for checking any new software deployments to that database, possessing the technical acumen in and of themselves or be willing to spend some of the resources which they get as a result of being witnesses on the blockchain on expert personnel who can do that. The failure of which is why hardfork 20 was such a debacle. But if we look at what the witnesses go out of their way to sell themselves with – it's political. It has nothing to do with technology aside from, one way or another, getting a steem node running on the system somewhere that can keep up with current traffic. Everything else is, in fact, political. Convincing us that they have the best interests of the blockchain at heart, persuading us that they give more of themselves to the blockchain than "the other guy," alongside kissing hands and shaking babies. Witnesses are political. The votes for witnesses are political, sometimes being a literally handshake exchanges reeking of "you scratch my back and I'll scratch yours." I realize this may be hard to grasp for some people but it is terribly and completely obvious. Not only that, it's important to understand and to be able to make good judgments going forward about investment, time sink, and what we can and should expect of Steemit Inc. and the steem blockchain in the face of a very diminished crypto-commodity market and increasing competition from what has to be said to be better social media ecologies. People interested in that deserve better than bad political pablum. The other thing is perhaps @ned isn't supposed to decide? Maybe the community ought to decide what Steem is to be? Maybe this should be discussed with @ned included in a public forum at a conference and online? Steemit Inc. is incorporated. It's a corporation. As such, it represents a business entity. It is the business entity that controls, far away, the most SP and thus controlling voting power on this blockchain. Not by one order of magnitude but by multiple. Remember, this is a proof of stake system. Stake denotes control. Steemit Inc. possesses that control, definitionally. It is exactly for Steemit Inc. to make that decision, because they have controlling interest in the blockchain. But let's ignore the blockchain for the moment. What about Steemit Inc. itself? It's a corporation, and thus has investors, it has a board, and it has the intent to do business. Intent to do business requires a vision, a direction, and a real plan for how you intend to do that business going forward. If you don't have those things, you don't have a real, functioning corporate polity. Remember what I said about the orders of magnitude more control of SP on the steem blockchain? If the value of STEEM does not increase, the value of the corporate holdings has no value, and the corporate reason for existence fails. Thus it is in their best interest to be able to answer these questions publicly and clearly, for their own sake as a corporate entity, assuming that the whole plan is not "let's build a half-assed system and get volunteer developers to figure out ways to make it work in order to increase the value of our conjured stake on the blockchain." Every time we have this sort of interaction with @ned , it becomes harder not to hear that as the response. Ned responded about Steem not Steemit Inc. Steem is owned by the community not by Steemit Inc.
That's cute – but for all intents and purposes in the real world, Steemit owns the steem blockchain. They are funding and providing the underlying source code which drives the blockchain. They are, in theory, responsible for promoting and securing significant investors. They are, without a doubt, the greatest holders of stake, the most responsible as a result, and have the most to lose. Steemit Inc. is steem. If you believe that the steem blockchain would continue to exist if Steemit Inc. picked up and disappeared, I have some lovely oceanfront property in Nunavut that I would love to show you. You would have a basis of argument if the software running behind each of these nodes wasn't effectively driven by a corporately paid group of programmers. The recent unpleasantness with hardfork 20 puts a double underline beneath how beholden the steem blockchain is to Steemit Inc. as an entity. Corporate vision for Steemit Inc. is the vision for steem as a blockchain. And this highlights a flaw in the design of DPOS. You are making Steem look like a security. I'm not making it anything. If it looks like a security that might be because it behaves like a security. What you observe is not a flaw in the design of distributed proof of stake. It is literally the selling point for distributed proof of stake. "If you have more to lose, you have more say" is the whole point of the argument for the method of governance of proof of stake systems. It's a pretty good argument – but it has definite repercussions when it comes to the truth of the way the system works. Steemit Inc., but because they have the most stake, has the most control – by orders of magnitude. Ergo, their corporate vision is the vision for the blockchain, and if we can't get them to speak clearly and openly about it – that speaks ill of the future of the blockchain. This is key and in my mind a huge advantage of Steem/Steemit. That strongly suggests that most "legacy" Steem behavior will not be supported going forward. There are very few existing features of Steem that forward those goals. A development roadmap with that as the endpoint ought to start by removing the Steem rewards system wholesale, as an extremely expensive feature that none of the long-term goals actually require. It also implies that everything anyone's building for the "first-layer" Steem right now will become obsolete through the SMT development process. Would definitely like to know where I'm wrong about this, because if that's your mission statement I probably shouldn't continue working on projects here. So the blockchain of your vision is going to run very similar content-voting-and-rewards systems on multiple levels of abstraction? That seems anathema to the efficiency-and-scaling doctrine. Once you've built new voting systems and dropped dApps into their SMT walled gardens, I think it's going to be way too tempting to drop first-layer content voting and rewards and just have the core blockchain support content storage and SMT operation, while all the rest is done per-dApp on the SMT layer, in the name of chain efficiency. And it's probably the right thing to do from a system design standpoint. It kind of calls into question why starting from Steem is a good idea, though. This is an excellent step & this will make eventually leads to the "Escape Velocity" needed to reach the moon. While the Witness process aka Consortium creation in many blockchains are either in experimental stage or controlled by companies, we definitely have a mechanism where the token holders can at-least have a say whether he is an exchange or a new user. right now is the pressing need for all Witnesses to actively develop and communicate reasonable code acceptance standards that will enable us to hold one another accountable. Few of us @reggaemuffin, @yuriks2000 @yehey & others are working on a model & we have a living document here : https://hackmd.io/s/ByT1BuG5m Witnesses and communities can collaborate and share their ideas. That will help everyone to reach conclusions quicker than someone, say steemit inc trying to find all the information and put a logical order to it. From my end, it will take a bit more time to reach even a draft format as I feel its essential to have a clear problem statement and collect information from all the stake holders. This will not only give the effort a formal approach but we (STEEM) will be noticed in the academic world as a very different blockchain ie decentralized. Please change the way consensus is decided to remove the ability for any one account, no matter how large to have controlling interest in deciding consensus. This isn't just me complaining or bitching about something that may be seen as FUD, I have an actual recommendation on how to do this and you can feel free to debate it here. I think the rewards structures for witnesses needs to be changed from a top 20 plateau and then massive drop off that we currently have to a top 50 exponential curve. Essentially what I'm saying here is the top witness (number 1) pay stays the same and then have a more rounded exponential curve going down to fifty and hopefully continue the smooth slope further outward. This encourages competition and activity to keep working and moving forward instead of "just hitting the top twenty and staying there." Furthermore I suggest changing consensus and the fact that blocks are predominately created by the top twenty to spread out over the top 50 spots as well. If accounts have 30 votes and can massively influence the top twenty witness spots as is, why wouldn't we want a more balanced system that actually allows more than one or two massive accounts to have controlling decision making ability over who gets to decide consensus. I love the platform and I'm not trying to spread FUD or misinformation here, but the facts remain that as it currently stands top twenty witnesses only need to pacify the interests of about 8 accounts to disregard the rest of the platform entirely. I think increasing the amount of witnesses needed for consensus makes this system more fair and balanced and removes the possibility that one account could even possibly control the decision making process by requiring a super majority greater than thirty votes. "We all go to the same moon." I totally agree and there already exists a much more logical system that has been implemented on at least one other DPOS chain. This is good news. It is important to learn from mistakes and move forward to a higher level. There were issues with hard fork 20 and we all have responsibility for what took place. It appears all were complacent with how things were going. Since that time, I stressed it is crucial for the users to do their best to understand what the Witnesses are doing and to vote accordingly. We are the ones who allow them to be in the position they are. The community, myself included, did not take monitoring what the Witnesses were doing serious enough. It is good if standards are set and protocols established. This will allow the community members to have a barometer which to judge the Witnesses. Since many of us are not techies, delving into that arena can be difficult. Spelling out the expectations and standards of conduct would go a long way for all. Re our responsibility for monitoring witnesses I agree. I think a lot of us (and when I say "us" I mean me) had a limited understanding of what the witnesses role should be. I think the votes for witnesses were almost seen as a way to curry favour with people rather than protect and serve our interests in ensuring the stability and growth of steem. @ned, you have a great idea but your proposal is wrong from start to end. Again, you really need a good CTO to take care of STINC's technical strategy! You aren't attacking the root cause, HF20 was a disaster because you had nobody able to forecast it, which reveals lack of technical leadership. Your company needs an strong and competent CTO, one that you can respect and tell you: "No Ned". The first mistake is ask each witness to publish their own standard. There are tens of witnesses so we can expect to have tens of proposed standards. The second mistake is to suppose that your dev team will be able to follow all or even a few of the standards, when they are likely to overlap. The third mistake is to assume that witnesses have enough technical skills and incentive to spend a fair amount of time creating, maintaining and assessing their standards. @paulag if nobody is responsible then the game is over. Someone has to be accountable and fix its mess, in this case we have many people involved and I'm happy to see many of them working hard to have a quite better HF21. Others don't care and those are the witnesses that I'm never voting for ever again. No, it's predominantly owned by StInc. STEEM is the furthest cryptocurrency from decentralisation. It's probably more centralised than some of the fiat currencies. If StInc continues to screw up, I guarantee there will be a hard-fork of Steem away from StInc initiated by the frustrated crowds. Mark my words. I was reading interesting discussion in a post by @berniesanders earlies regarding attracting new investors to Steem. 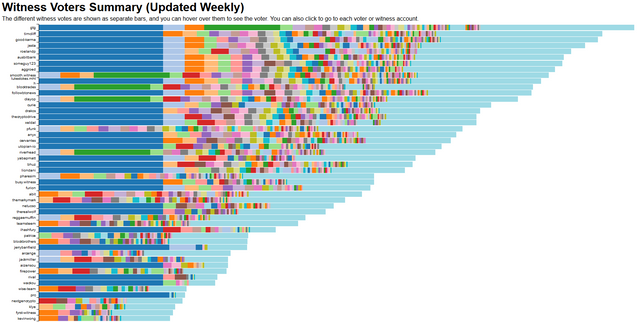 Also, read a post by @whatsup regarding current state of active users and their stakes. Since I see an arrow "proposing ideas" by users to Steemit Inc, I would like to share the following idea. Steemit Inc backed SP delegation contracts to all or new liquid Steem holders to attract crypto hodlers during bear markets. One of the reasons new investors don't easily get into Steem is they can't easily withdraw their assets due to 3 months wait of power down. Steemit Inc is the largest stakeholder and doesn't use its SP. What I propose is to delegate SP to those who buy Steem and hold as liquid in the accounts matching the amounts of liquid Steem they hold for a very small symbolic fee. This will give investors an option to withdraw anytime. SP will be undelegated the moment they withdraw. This will attract crypto hodlers to park their assets in Steem, earn while they hodl, and get to know Steem. Once they get to know Steem from within they may end up powering up down the road. This may sound like a dumb idea. If so just ignore. Just trying to think outside the box. New investors can buy Steem and hodl it without powering up, and withdraw it whenever they want. It's up to them whether to power up or not. How would this plan stop current investors from powering down, creating new accounts, and getting the delegated SP? Your are right, powering up or holding as liquid are the options investors have. Powering up might not be attractive for some because of 3 month lock of assets. Holding as liquid may not be attractive for some because there are many other options. Third option I suggeated, I believe would attract many investors who already hold crypto assets. Steemit Inc has enough SP to cover all new or old users. I doubt many whales would take advantage of it, as they would lose an ability to delegate themselves. Once investors are in and get to know the Steem blockchain I believe they would choose to power up themselves. This will come I think, but not via Steemit.inc. And, I have heard many talk of the vesting withdrawal time (which was once much greater) being part of the lure to Steem, as a role to play in stability of the token. At first read it sounded like a good idea to this Knight, geekgirl. However, thinking about it further - why should newbies get preferential access to tyhe reward pool over current investors? Three months is not a long time to stake funds anyhow. Think of term deposits. Three month TDs are very common. @steemitblog @ned You guys have to Answer never happen in last 2 year of my steemit carrier why my post payout sudden dissappear for example my post pending payout was 76$ and only 1 minute was left in payout sudden it become 55$ and curation 10$ so i got 45$ where 20$ gone ? my all friends also facing the same issue is there any one who can answer this question ?? I'm glad this discussion on the roles of the parties involved in the blockchain has been stirred. Maybe it should have been earlier? A lot of what you have discussed here is very hard to understand for me as a non-developer. But as someone who has been here for the last 9 months, I can surely say that people behind steem are working hard to make it far better. Why doesn't the Steemit blog have a profile icon? For ease of evaluation of witnesses, will there be a core standard that all (esp top 20) must adopt? If each witness has vastly different ideas, it makes it near impossible to track. "Must adopt?" According to whom? If the community of stakeholders come to a consensus over core standards, they are the only ones who can "force" the witnesses to do anything. So if you want there to be core standards that the witnesses have to adopt, then you--and everyone who agrees with you--has to come together to develop those standards and enforce them with your vote. That is the point that we are trying to communicate. There is no benevolent dictator who is going to solve these problems for us. We have to come together as a community to develop common standards. We don't have to agree on EVERYTHING, but we have to at least agree on the standards to which we will hold one another. That being said, I think we are already well on our way toward doing this. I think this is more about maturing as a community, improving our tools, and improving incrementally how we communicate with one another. We just have to keep evolving and improving as a community. This isn't about paradigm shifts, it's about iterative change in a positive direction. Must was the wrong word. I meant that a standard core that they agree upon that gives some kind of base from which to work, a minimum level. I read @reggaemuffin's proposal but for the average user (myself included) it is going to be very difficult to get the head around without expert understanding let alone if there are 50 variations versions floating around in posts lost to time etc. So will there be a proposal put forward that can be tweaked by discussion to reach some standard form that a witness can agree to and then we as community can vote accordingly based on at least that base level of standardization. And then the possibility to see clearly which witnesses agreed to it and which didn't? It is already difficult to know what all the witnesses are working on etc so having some way to know that there is at least a base level met would make things somewhat easier to track for less technical users who don't live 24/7 on Steem or in the processes of software development. Of course, it is up to the community to develop the interfaces, the understanding and our responsibility to keep track of the 200+ witnesses and their comings and goings each day but it might be easier with a tool or two. Hmm, in a sense I get you Taraz. It's complicated to track down the platforms of many witness candidates you'd evaluate for voting. And certainly it would be even more difficult for people who barely know what witnesses are, if they will be interested at all. How would we convince them to take time and evaluate every witness they vote for at length? That's nearly impossible. Adhering to common standards may simplify things. But Steem governance will resemble more and more with real life political arena, and it seems many want to go as far from those models as possible. We'd just give birth to parties and doctrines this way. I like the suggestion to get more transparency from witnesses on what they do and what their standards are. We as voters should only select witnesses who actively participate in the development of the Steem blockchain. It should be the goal for witnesses to compete for the top 21 spots by showing the community what they are doing and how they add value. That way votes will shift very quickly to witnesses that do more than just the minimum of running a node. Glad to hear that standards and a need for conservative development are taking root. I also like the fact that stakeholders are reminded that their witness votes really matter in this ecosystem. It's one of the reasons I like Steem. Stewards of the Steem chain can be held directly accountable for bad decisions and they're more distributed than the likes of Facebook. As the network grows, is there the possibility that the number of top witnesses can increase for more representation on the network or will it always remain at 21? Does it even matter? Just curious.